Hula is a way of life in Hawaii – a celebration, a moving meditation, an expression of gratitude for the Earth, its living residents and Spirit ancestors. Join Alice Hibberd to experience hula as a dance of gratitude, learning how basic hand and body movements express a tale of the Earth, Sea and Spirit. Classes are offered with cultural integrity, practicing simple Hawaiian chant or song and studying the story and kaona (spiritual meaning) of each hula. 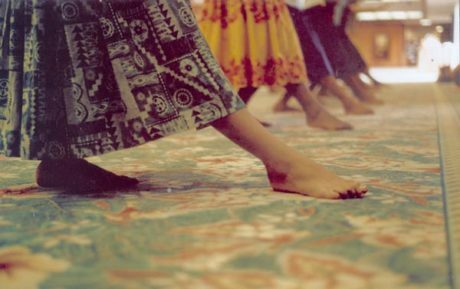 Classes help to instill within students the true essence of the Hawaiian Hula as a sacred prayer. Wear comfortable clothing. Hula pa’u (skirts) provided for class time.